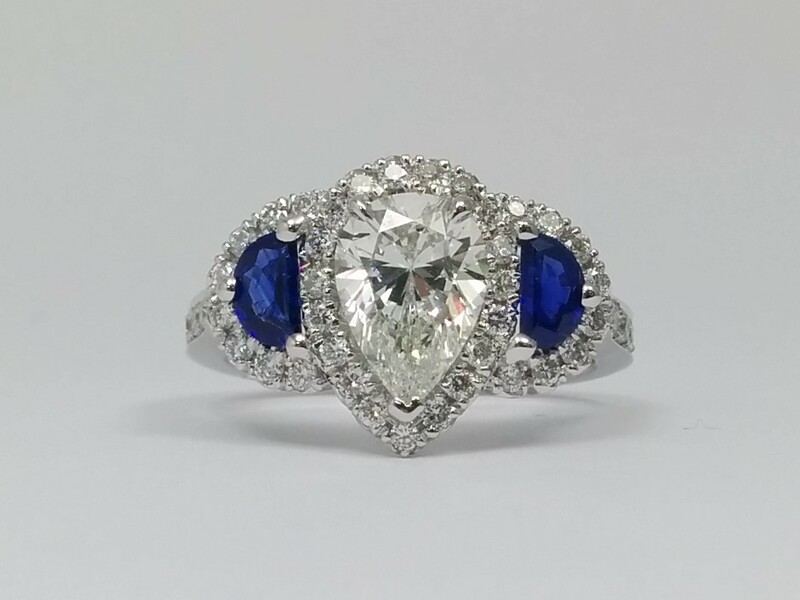 A stunning Pear shape diamond engagement ring setting for the center diamond of your choice. 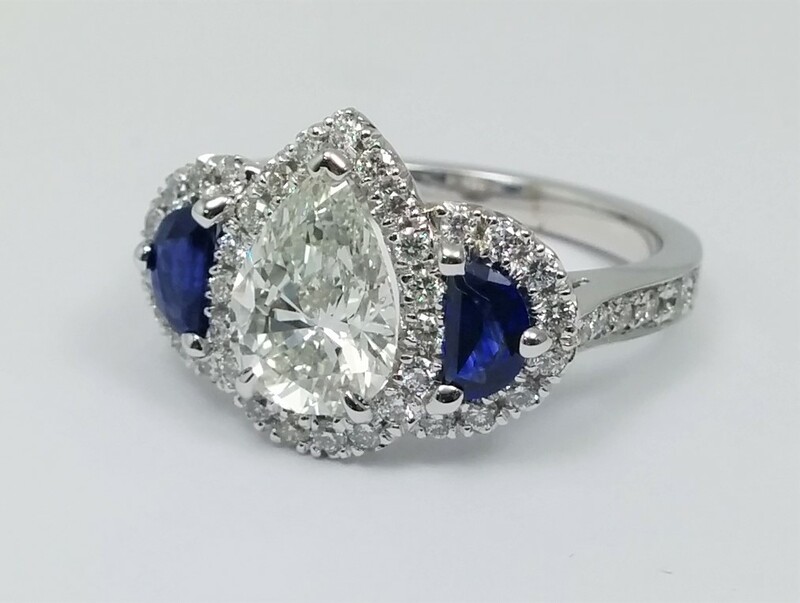 The main diamond is accented by a matching pair of half moon blue sapphires, surrounded by a halo of round brilliant cut diamonds pave set in white gold and diamonds on either side of the ring's shoulder. 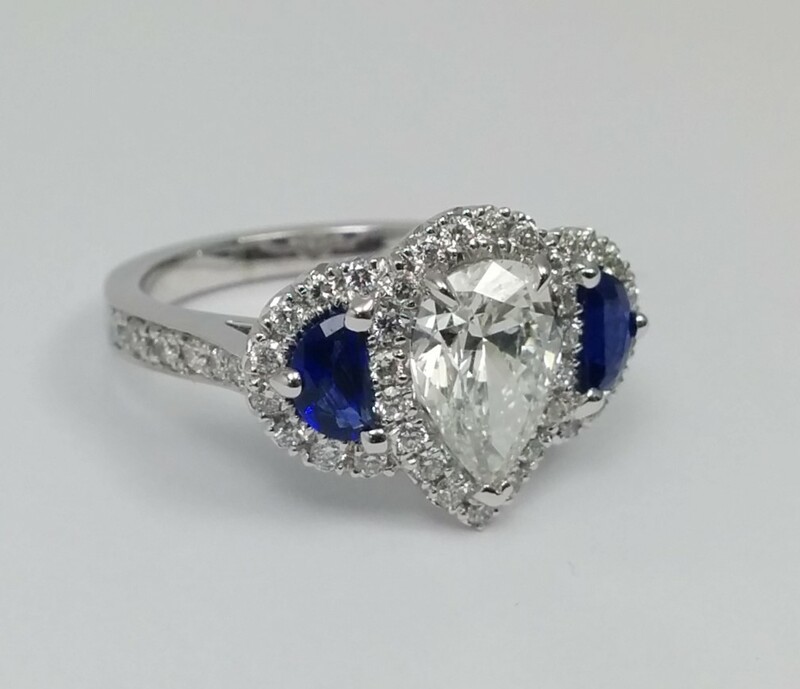 Shown with a 1.5 carat Pear shape diamond in the center. 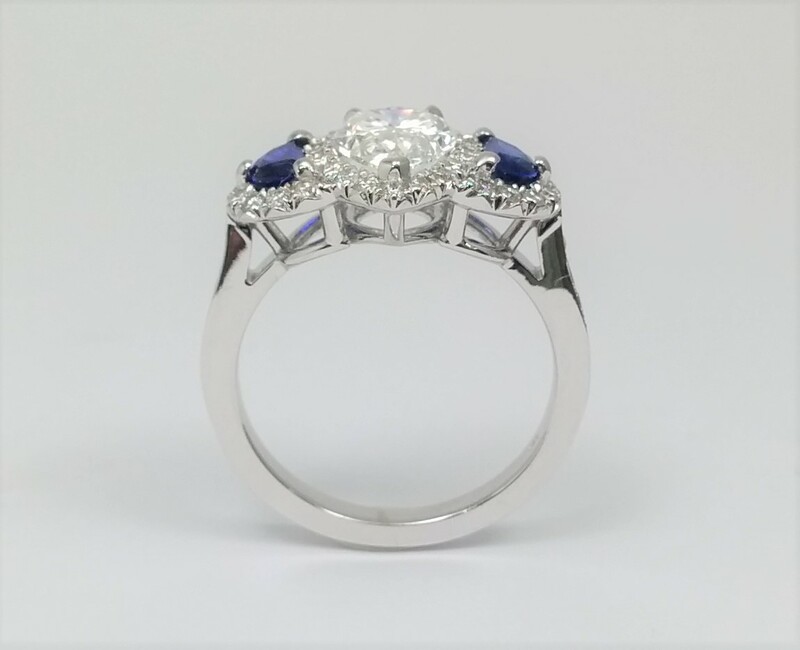 Customized for your center diamond, call for details.